Turk Telekom Ankara collected its third straight victory in the 7DAYS EuroCup by coming back to knock off Zenit St. Petersburg 81-75 in Group C. Sylven Landesberg scored a career-high 27 points to go with 7 rebounds and 4 assists while Vladimir Stimac collected 20 points and 7 rebounds and Reggie Redding picked up 14 points and 6 assists. 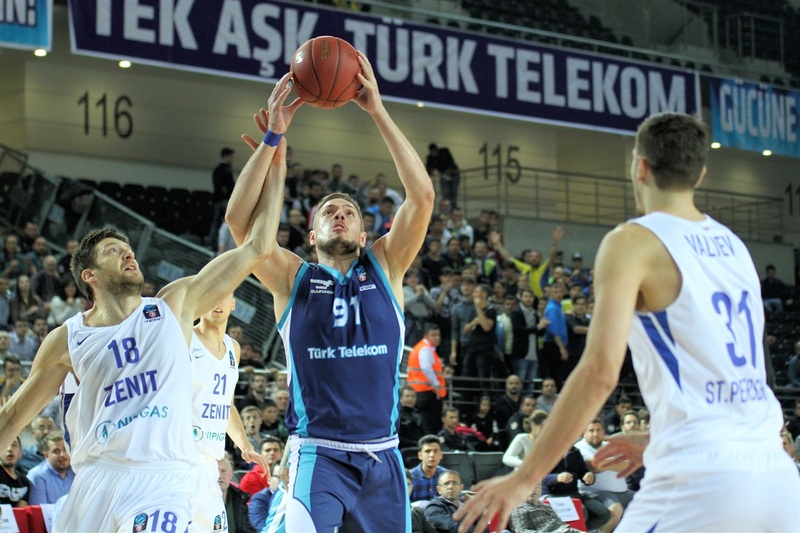 Turk Telekom, which trailed by 11 points in the second quarter, improved its record to 3-3 in the group. 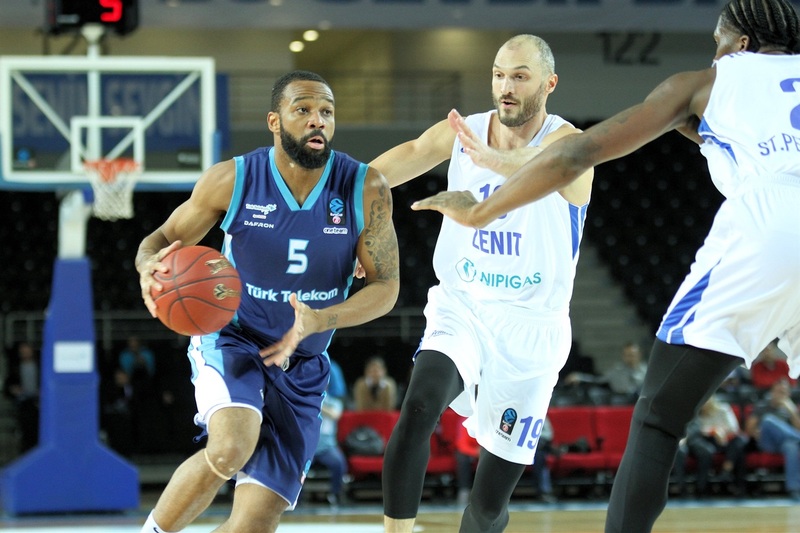 Zenit dropped to 3-3 with the loss, which was the team's third in four road games. 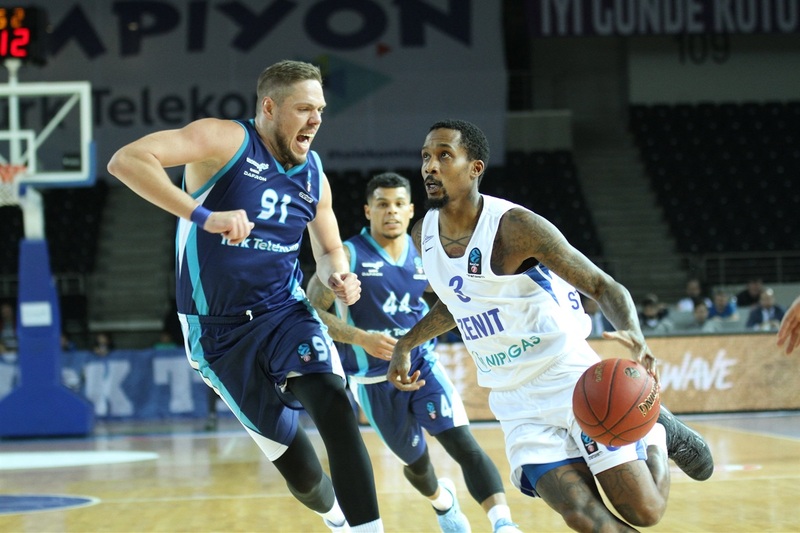 The EuroCup's leading scorer Sergey Karasev ended up scoring 16 points with 6 rebounds, Philip Scrubb added 16 points and 5 assists, Vladislav Trushkin scored 11 points and Jalen Reynolds picked up 11 points, 10 rebounds and 3 steals in defeat. 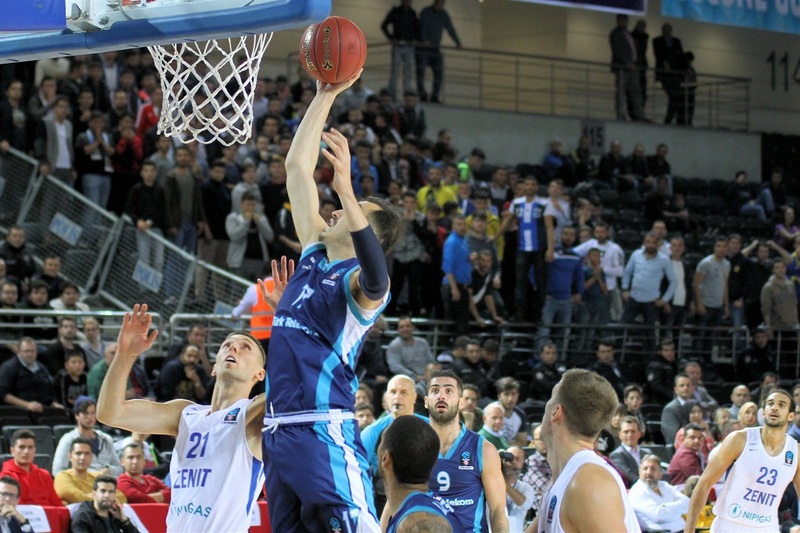 Stimac started on fire for Turk Telekom with the first 5 points of the game and had 9 points for a 12-6 lead for the hosts. Reynolds had two scores at the other end and Trushkin's three-pointer made it 17-13 after 10 minutes. That three was followed by a 0-14 run to start the second quarter featuring threes by Scrubb and Trushkin and three-point plays by Trushkin and Evgeny Valiev. 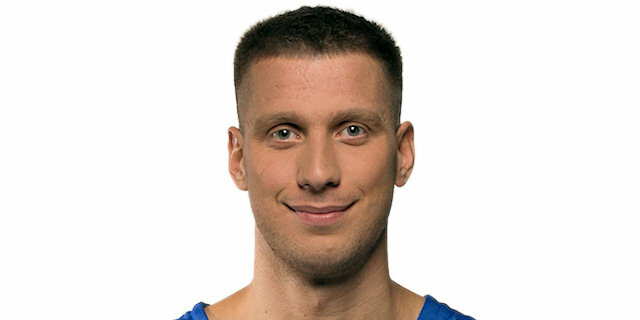 After Landesberg finally scored after nearly three minutes, Jarrod Uthoff's three opened a 19-30 advantage. Metin Turen answered with 6 points and Landesberg added 7 in a strong finish to the first half for Turk Telekom, which used an 8-2 spurt to pull within 38-41. 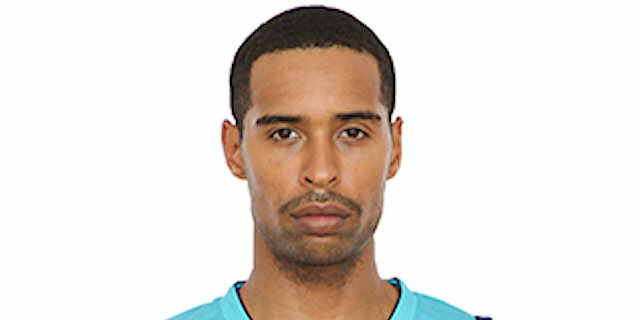 T.J. Campbell came off the Turk Telekom bench for a pair of three-pointers in a 10-0 start to the second half to go up 48-41. Karasev scored just his second basket to cut the gap to 51-49, but Landesberg hit for 5 points at the other end and the hosts were up 58-53 after three quarters. 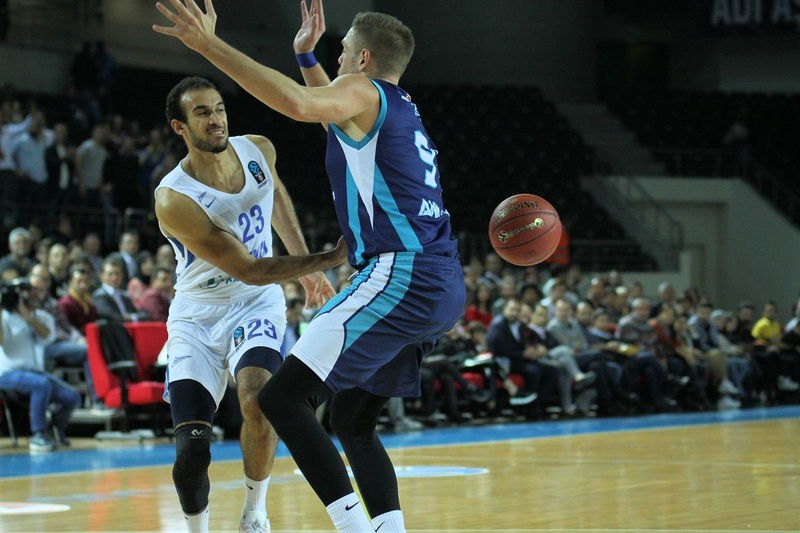 Scrubb helped Zenit knot the game 60-60 before Stimac answered with 6 points in pushing Turk Telekom ahead 71-64 inside five minutes. The gap was 76-66 on Redding's three-pointer with less than three minutes to play. 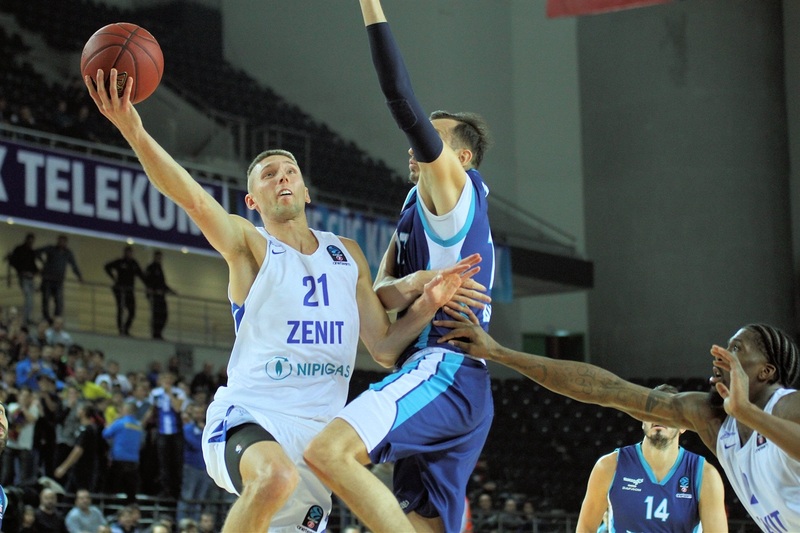 Zenit fought back and closed to within 78-73 on a Karasev layup, but Redding came up with a big layup with 23 seconds to secure the win. The game was even at 62-62 when Vladimir Stimac's basket was followed by a big putback from Sylven Landesberg and by the time T.J. Campbell and Reggie Redding hit three-pointers, the lead was 76-66 with less than three minutes to play. 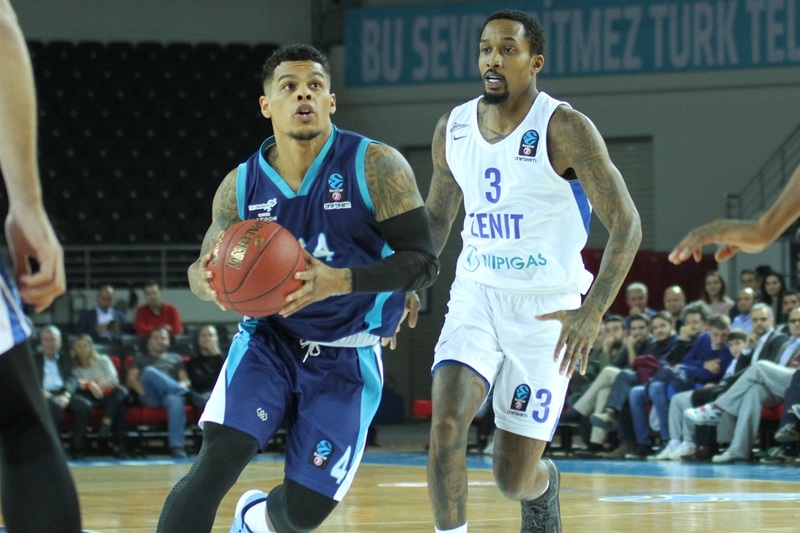 Landesberg was all over for Turk Telekom as he hit 9 of 16 shots and 8 of 8 free throws in scoring a career-high 27 points - 4 more than the 23 points he scored against Zenit in Round 1 of this season. He also collected 7 rebounds, 4 assists and 1 block for a performance index rating of 33 - also a career high. 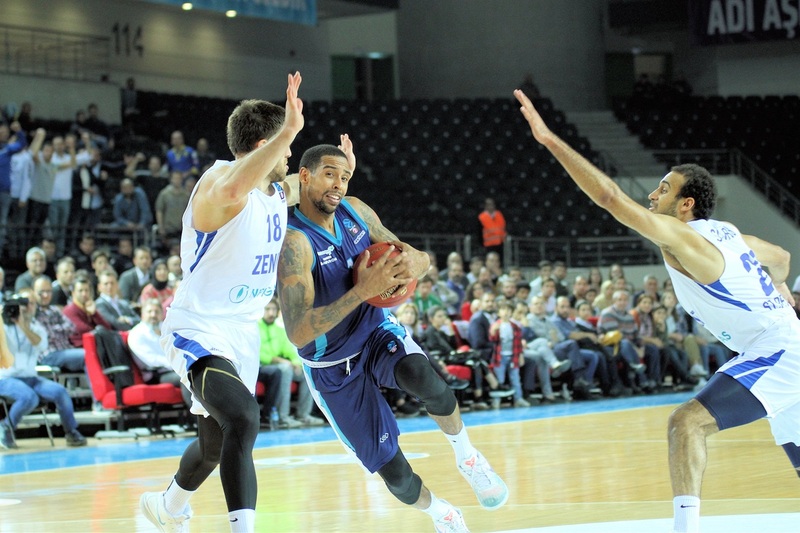 Redding was playing in his first EuroCup game of the season and he came up big with 14 points, 4 rebounds and 6 assists as well as a big three-pointer with about three minutes left and a decisive layup with 23 seconds to play. 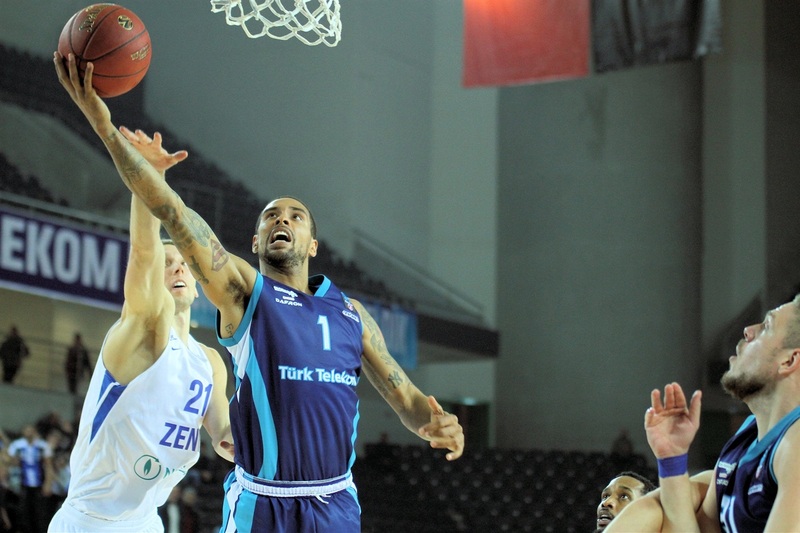 Turk Telekom won the rebounding battle 36-29 and held Zenit to just 5-of-27 shooting on three-pointers (18.5%). 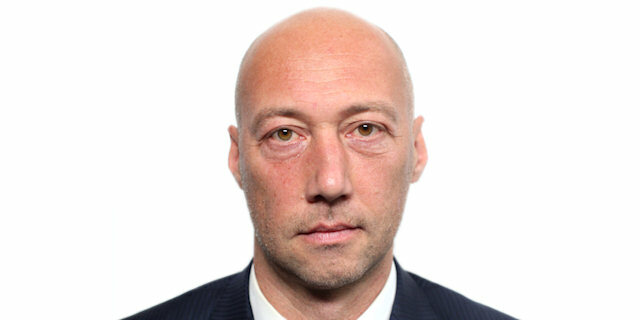 Zenit could not take advantage of committing just 5 turnovers. 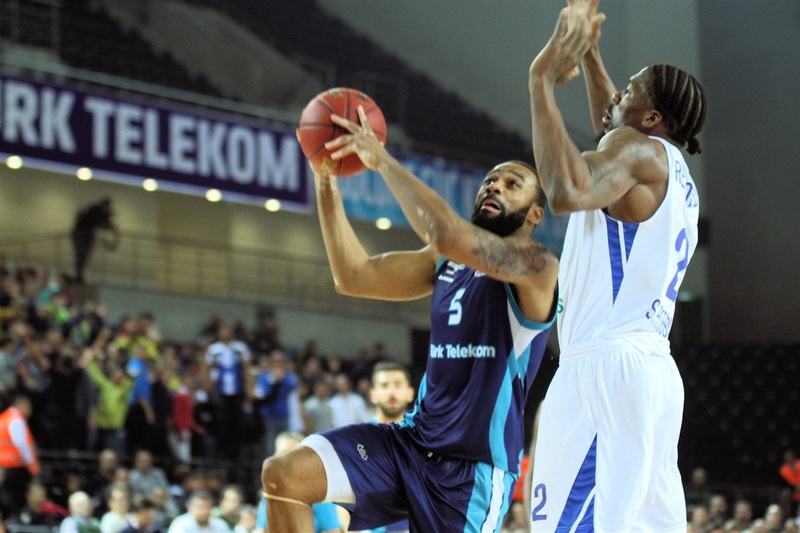 Turk Telekom will look to make it four in a row next week at Valencia Basket. Zenit will head back to St. Petersburg for a stretch of three home games in four contests, starting with Partizan NIS Belgrade. "Group C is the most difficult group in the EuroCup, so we knew how important this game was beforehand. The first half of the game we didn't play good defense. They are a very potent team on offense and in the second half we really did a great job on the defensive side and we pushed the ball. Turk Telekom is a big club and a historic club and we started the season 0-3 and now won three in a row. We are unbelievably happy." "First of all, we have to play aggressive defense, always. Sometimes we showed it. We still have only one point guard, and today he played not the way we expected. Because of it Scrubb had to play as our number 1 and we missed a couple of his shots. We will fight until the end. Now we kept third place and have to improve our game and win at home." 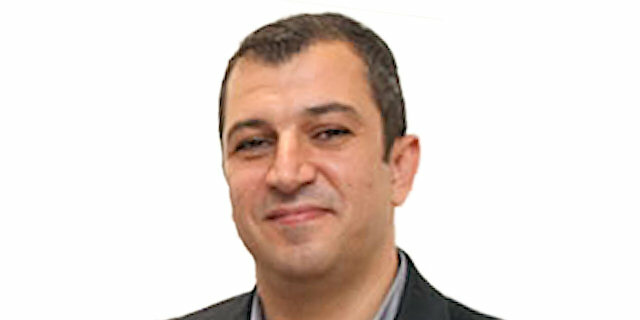 "It was a big win for us. We knew we needed this to help our chances to advance. We all came out and really performed really well. I'm really happy with the guys. It's not the end here, we need to keep building off this. They went on a little run in the second quarter. We just matched their intensity in the second half and we were able to get the win." "The key moment was our awful third quarter with 12 points scored. The only positive moment is that we kept third place by points difference against Turk Telekom. We have a problem with away games this season and have to solve it in the future."